Climate Analytics (CA) is a non-profit organization, dedicated to advancing the interdisciplinary synthesis of state-of-the-art climate science and policy analysis to develop solutions to global and national climate change challenges. The team has long-standing expertise in analyzing climate impacts on societal sectors, including the treatment of uncertainties, with a focus on applicable results which promote science-based decision-making. The activities of Climate Analytics include support for science-based technical, policy and legal issues in the areas of climate projections, impacts, vulnerability, adaptation, mitigation, economics and climate finance, as well as the design of the Green Climate Fund (GCF). A key feature of the approach of Climate Analytics is to connect scientific and policy analysis and so be able to provide scientific support on the basis of the latest scientific findings, policy demand and political developments. Through the Climate Action Tracker, CA experts have developed tools to understand the consequences of different carbon-intensity pathways and feed these into probabilitistic climate models. Based on these, climate impacts on societally relevant sectors, such as resources and infrastructure can be assessed. 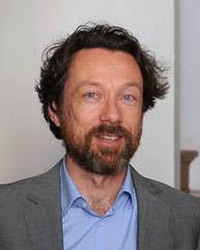 Michiel Schaeffer is Co-founder of Climate Analytics, its Scientific Director and head of the science team. 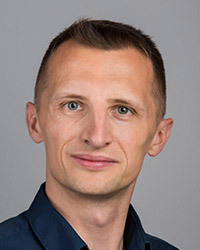 He received his PhD in Dynamic Meteorology at University of Utrecht, The Netherlands, specializing in the interactions between atmosphere, ocean, ecosystems and society. His scientific publication record spans the full range of climate-related disciplines, from core climate science to impacts and mitigation. He is an author of the IPCC AR5, the UNEP Emissions Gap and Africa Adaptation Gap reports, and the World Bank Turn Down the Heat reports. His work has been widely published in a number of leading international scientific journals including Nature, Nature Climate Change, and Climatic Change. He oversees research and development within Climate Analytics and collaboration with applied scientists and policy makers in developing countries, with a focus on Africa. 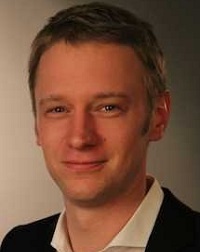 Andrzej Ancygier is an energy policy expert at Climate Analytics in Berlin. He specializes in the European climate policy with focus on renewable energy and energy efficiency. Ancygier obtained his doctorate in political science from Freie Universität in Berlin. Between 2013 and 2015 Ancygier worked as a research fellow at the Hertie School of Governance in Berlin. There he analyzed German-Polish cooperation in the area of renewable energy and the impact of the European Emission Trading Scheme (EU ETS) on the energy intensive industries. Since 2011 Ancygier has also been teaching a number of courses at the Berlin subsidiary of the New York University and at the Freie Universität Berlin, among other “European Environmental Policy”, “Environmental Social Movement” and “Global Challenges, Sustainable Solutions”. 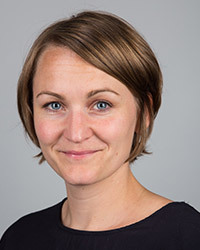 Tabea Lissner is a Scientific Advisor and PostDoc with Climate Analytics and is the topic leader for questions on human climate impacts, vulnerability and adaptation. Her work focuses on the analysis of human-environmental systems, using conceptual as well as quantitative modeling approaches and spatial analysis methods. A special interest lies in understanding the processes and interaction of the many determinants, which make human-environmental systems especially vulnerable to climate change. Tabea has a background in Geography, Political Science and Environmental Management and holds a PhD in Geography from Humboldt University, Berlin, which she developed while working as a junior researcher in the Climate Change & Development Group at the Potsdam Institute for Climate Impact Research (PIK). She remains affiliated with PIK as a guest scientist and is the author of several peer-reviewed publications. Niklas is a Climate Policy Analyst with a special interest in econometrics, data analysis and data visualisation using open source software. From 2012 he was a member of research staff at Potsdam Institute for Climate Impact Research (PIK). He contributed in the creation of a new set of scenarios of income and population in the 21st century – the Shared Socioeconomic Pathways (SSPs) – which facilitate accounting for uncertainty in future social and economic development. These scenarios are used to harmonise several integrated assessment models of climate change (IAMs) in order to make their results comparable. Niklas also participated in improving data input and and analysis of results of PIK’s own IAM – the REMIND model. Since May 2015 he is a guest at PIK. He holds a diploma in economics from the University of Hohenheim and is pursuing a PhD at the Technical University Berlin. 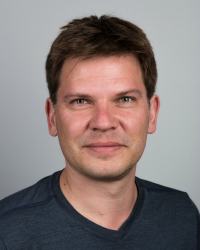 Jan Sindt is a policy advisor and PostDoc with Climate Analytics and is the technical leader of their implementation support team for Intended Nationally Determined Contributions. 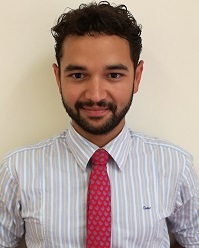 His work focuses on the analysis of climate change mitigation potentials in the agriculture and forest sectors, particularly in Least Developed Countries and Small Island Developing States. A special interest lies in the global policies and politics on land use planning and forestry. Jan has a background political science and international relations and holds a PhD in political science from Free University, Berlin, which he developed while working as a junior researcher at the Social Science Research Centre, Berlin, focussing on forest governance and biodiversity.